A COMMITTEE of state agriculture ministers has found that deregulation of the agriculture markets has increased transaction costs. This in turn will lead to food inflation, contrary to the perception that deregulation will bring it down. The committee was set up by the Union Ministry of Agriculture to suggest reforms in agri-marketing in India. It said that deregulation did not help in attracting investment from the private sector. The Centre needs to have a more consistent stand in its import-export policy as any sudden switch-on and switch-off in policy impacts farmers adversely. 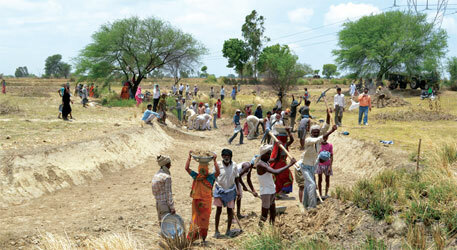 The committee said that organising farmers' groups will enhance their bargaining power. India's GREEN cover has increased, but outside the traditional boundaries of the forests. The latest State of Forest Report says that the total forest cover in the country increased by 5,871 square kilometre (sq km) between 2011 and 2013. 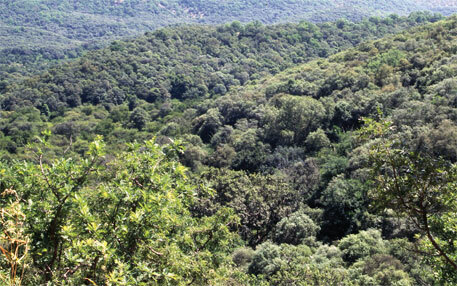 However, of the total increased area, just over 2 per cent falls within the traditional boundaries of forests. To find out how the green cover is changing in government-recorded forest lands and outside such lands, the Forest Survey of India, for the first time, overlaid its satellite images of the forest cover with topography sheets of the Survey of India. It found that most of the increase in the forest cover has been outside the traditional forest areas marked as "greenwash" areas in the topography sheets. The LAST government's flagship scheme, the Mahatma Gandhi National Employment Guarantee Act (MGNREGA), is set to see some changes under the ruling NDA government. The Union Ministry of Rural Development has decided to focus on social audit and create durable assets at block and district levels under the programme. 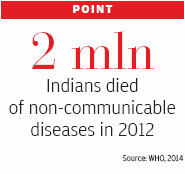 The ministry has instructed the states to focus on social audit. The Centre will provide technical assistance for the audit under a special project that will be operational till 2017, and will bear the entire expenditure. 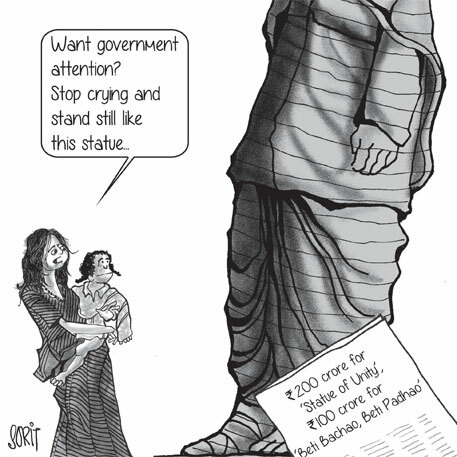 The project will cost an estimated Rs 46 crore a year to the Central exchequer. China has said for the first time that it allows skin trade of captive tigers. The admission came in a meeting of the Convention on International Trade in Endangered Species of Wild Fauna and Flora (CITES). Wildlife conservation bodies have long accused China of practising tiger farming for skin trade. China has put forth an interesting argument: according to the Chinese law, there is a ban only on tiger bones. BBC quoted a Chinese official as saying, "We don't ban trade in tiger skin but we do ban trade in tiger bones." The CENTRAL government has permitted Andhra Pradesh to auction half of its stock of seized red sandalwood through global tenders. The state has over 8,550 tonnes of the wood seized from smugglers since 2002. Red sanders is an endangered tree species found only in the forests of Chittoor, Kadapa, Nellore and Kurnool districts of Andhra Pradesh and its sale is controlled by the Centre. The tree has huge demand in countries like China and Japan for medicines, furniture, musical instruments and sculpture. A tonne of red sanders costs more than Rs 25 lakh in the global market. India has a big network of red sanders smugglers who are increasingly attacking forest officials in Andhra Pradesh. 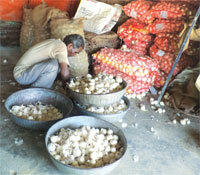 The NDAgovernment's recent decision to add potatoes and onions to the list of essential commodities under the Essential Commodities Act, 1955, has drawn the ire of onion cultivators in Maharashtra. Various farmer groups, including cultivators and Agricultural Produce Market Committees, have threatened to go on agitation if onion is not removed from the list soon. RajuShetty, newly elected member of Parliament from HatkanangaleLokSabha constituency in Maharashtra's Kolhapur district, whose party, SwabhimaniShetkariSanghatana, is an ally to NDA, has also threatened to protest. Shetty has vociferously opposed the move, saying it will take away whatever extra income farmers earn by delaying the sale of their produce. To CURB trans-boundary haze, the government of Singapore has made more stringent its ambitious legislation that aims to take legal action against both local and foreign companies causing air pollution. The toxic haze is caused as forest fires rage across Indonesia. It drifts into Singapore and other South-East Asian countries. 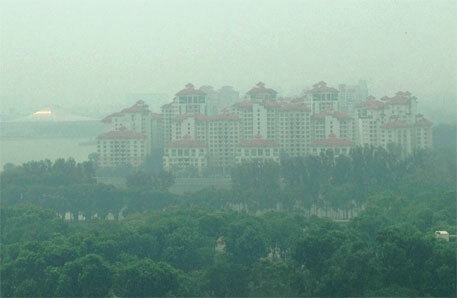 Last year, pollution levels in Singapore reached a record high because of trans-boundary haze. The Trans Boundary Haze Pollution Bill, introduced in Parliament after a month-long public consultation, slaps a fine of up to US $2 million on erring firms. This is seven times the amount the Bill had initially proposed.